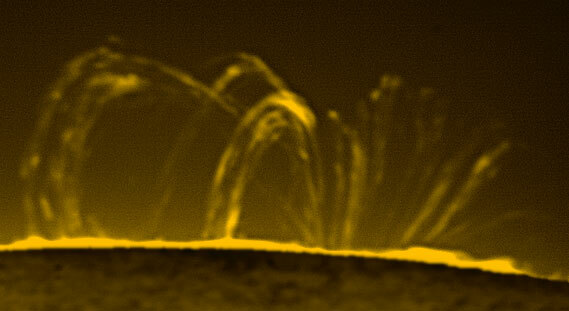 Click on the image below to see an animation of a 'Slinky Prominence'. This 20min long and very fast moving system preceded spot 0940. Taken with 6" f15 achromat @ f30 Daystar ATM 0.65A. You can also right-click on the image and choose 'Save target as...' to save the animation.